A year ago, Democratic National Committee chair Debbie Wasserman Schultz was the keynote speaker at the Vermont Democratic Party’s annual David W. Curtis Leadership Awards dinner. Her speech was a barely noticeable backdrop as Vermont Democrats buzzed about who among them would run for what state offices. Much has changed in a year. As state Democrats prepare to gather again Friday night, Wasserman Schultz has fallen out of favor and won’t be back. She and Sen. Bernie Sanders (I-Vt.) have spent months waging war over whether the Vermont senator’s presidential run has gotten a fair shake from the party. The disagreement has gotten so ugly that on Tuesday, Sanders said the Democrats need a new leader. With that discord in mind, party officials invited a DNC vice chair, R.T. Rybak, a former Minneapolis mayor, to speak at this year’s dinner. 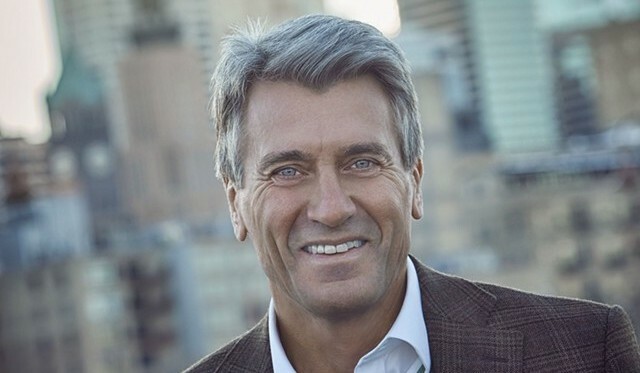 Party officials hope Rybak can bring peace between factions of the party who back Sanders and those who support former secretary of state Hillary Clinton. “We’re looking for people who, after the dust settles, can unify the party,” said Conor Casey, executive director of the Vermont Democratic Party. Rybak may be poised to do that. He’s stayed publicly neutral in the Sanders-Clinton conflict. In an interview with Seven Days, Rybak said he’s not taking sides. “I am absolutely, totally committed to two candidates I love,” he said. Rybak did take a stand for Sanders in October when he accused Wasserman Schultz of lying about her process in setting the Sanders-Clinton debate schedule. Rybak said he thinks that aside from holding too few debates, the party treated Sanders fairly. But the party honcho also said he understands why an upstart candidate’s fans may feel otherwise. In 2004, Rybak was an early supporter of former Vermont governor Howard Dean’s presidential bid. In 2008, he committed early to Barack Obama. Both times, he expected party-establishment super delegates to block the way, as Sanderistas have argued they are doing this year. Rybak wouldn’t weigh in on whether Wasserman Schultz should go, saying that wasn’t his decision to make. But he welcomed those who disagree with the way the party is operating to stay engaged and to work on changing the system. That’s the message he’ll bring to Vermont Democrats on Friday night. Whether Sanders’ most fervent supporters will agree, or even show up to the party’s event, remains to be seen.